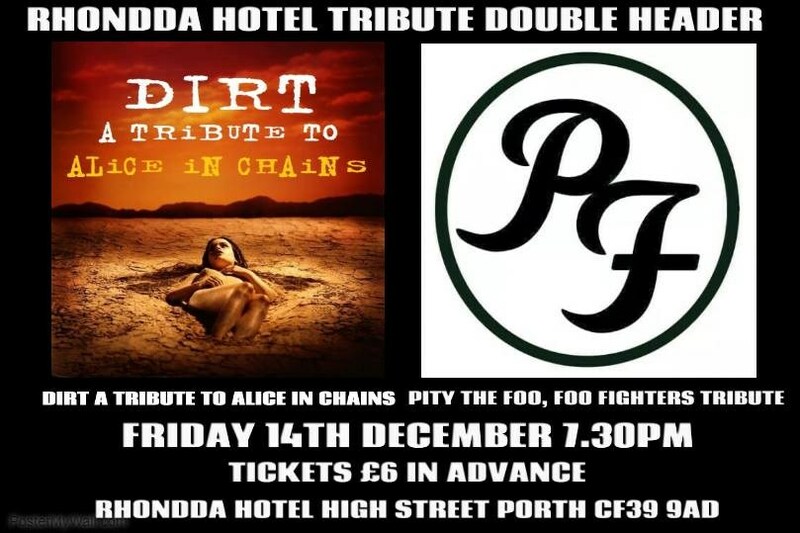 Dirt are an Alice In Chains Tribute Band based in Wales UK, bringing you the sound and feel of Seattle's finest grunge metal band, with energetic live performances. Pity The Foo are the South West’s premier Foo Fighters Tribute Band, recreating the Foo’s awesome studio sound and live performance and bringing it to a stage near you! Tickets £6 in advance from Pub or Online , £8 on the door.